With 8.2% unemployment, why does nobody want 200,000 trucking jobs? Companies say they've had 3 million job openings every month since February - this according to the Labor Department. But employers say they're having trouble filling these positions because they can't find skilled workers to do the jobs. Bloomberg News reports that in order to narrow this "skills gap," employers are teaming up with philanthropies, governments and community colleges to train their existing workforce. Places like hospitals are taking the lead, turning to their own staff to train technicians and nurses. Also, factories and construction companies are stepping up apprenticeships. Employers say it's not just technical skills that workers are missing - they point to so-called "soft skills" - things like the ability to solve problems, think critically and work in teams. In other words, a lot of Americans are too stupid to do the jobs that are available. Pretty sad. CNNMoney.com has another surprising example of jobs going unfilled: there are 200,000 jobs available for long haul truckers that nobody wants. Experts say the positions are hard to fill since it's difficult and expensive to get certified. Plus the lifestyle of a trucker isn't easy. Long days on the road often living in the back of a truck, separated from family and friends and working crazy hours. 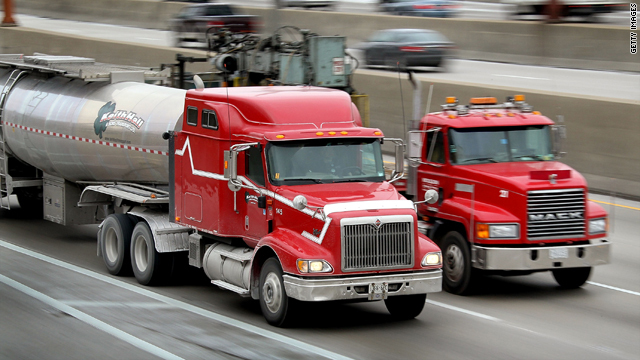 Still truckers earn an average of almost $40,000. That's $4,000 more than the median wage for all jobs. You'd think people looking for work would jump at the chance. Here’s my question to you: With 8.2% unemployment, why does nobody want 200,000 trucking jobs? How worried are you about losing your job? It's tough enough to hold a job these days without having to constantly worry about losing it. 1) So-called mergers can spell trouble - because many jobs get duplicated. 2) Getting passed over for a promotion is a bad sign - especially if you're more qualified than whoever gets picked for the job. 3) There may be a pink slip in your future if you're asked to share your files or update another team member on all of your projects. This includes being asked to share passwords, client lists and contact information. 4) If you're assigned to a short-term project that has little to do with your regular job, it could mean your job won't be waiting for you when you're done. 5) A computer can do your job. Human resources experts suggest there are some things you can do to help keep your job - like asking for feedback, tracking your goals and building a portfolio of all your accomplishments. But even if you do all the right things, you could still wind up on the street. 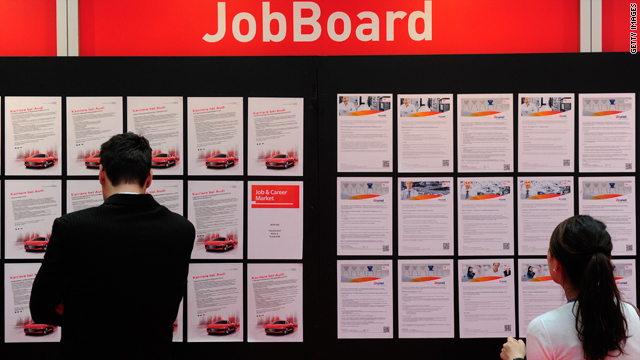 The U.S. is facing a long-term unemployment crisis. There are nearly 5.5 million people who have been out of work for more than six months. That's about 43% of all the unemployed. Economists call it a national emergency. And if you're not already worried about losing your job, all you have to hear is that statistic that the net worth of the average family has declined 40% from 2007 to 2010 and you'll be volunteering to work nights and weekends. Here’s my question to you: How worried are you about losing your job? Should applicants for jobless benefits have to pass a drug test? Arizona could become the first state to require drug tests for applicants for unemployment benefits. This was part of the deal when Congress agreed last month to extend jobless benefits through the end of the year. That legislation allows states to require drug testing for people who lost their jobs because they failed an employer's drug test - or for those applying for jobs where drug testing is common. The Arizona State Senate has approved this bill and now it will go to the House for a vote. The Bill's sponsor tells the Huffington Post he would have pushed for this legislation even if Congress hadn't paved the way. Republican State Senator Steve Smith says the unemployed are fortunate to live in a country where there are programs to help people survive when they're looking for work. He says the least applicants should do is prove they're of "sound mind to get a job." Supporters of these drug tests say businesses shouldn't have to subsidize illegal activity. They suggest that workers could also increase their chances of getting hired if they prove they're drug-free. 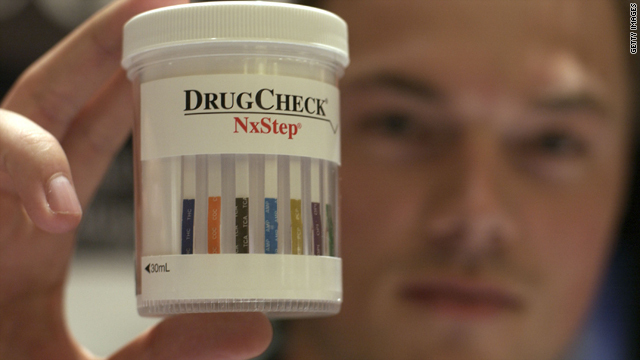 But critics say drug testing is costly - that it could cost millions for states to administer. They also say drug tests stigmatize the jobless as drug addicts. Arizona could also run into some resistance here. That's because Congress has left it up to the labor department to determine how many unemployment applicants get drug tests. Here’s my question to you: Should applicants for jobless benefits have to pass a drug test? 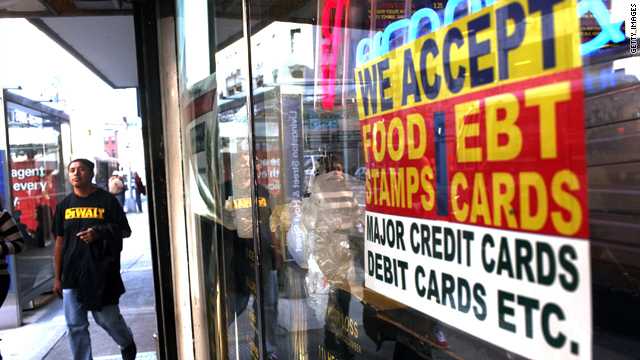 What does it mean when half of Americans live in a household that gets government assistance? Nearly half of Americans live in a household that receives government assistance. This stunning finding comes from a new report from a George Mason University-based research center. More than one-in-three Americans lived in a household getting Medicaid, food stamps or other means-based government assistance in 2010. When you add in those getting Social Security, Medicare and unemployment benefits, it represents almost half of the country. The federal government sent a record total of $2 trillion to individuals in 2010. The stunning part is that's up 75% from a decade ago. There's another new study from the conservative think tank the Heritage Foundation that shows the public's dependence on the federal government shot up 23% in just two-years under President Obama. This comes at a time when fewer Americans - less than half of us - pay income taxes. Some say the rise in dependence under President Obama is due to the recession and high unemployment. But others say extending unemployment benefits indefinitely actually keeps unemployment rates higher because it creates an incentive not to work. Meanwhile the country's safety net has become a hot topic in the presidential race. Mitt Romney is under fire for saying he's not concerned about the very poor because they have an "ample" safety net. It's a comment I bet he wishes he could take back. Here’s my question to you: What does it mean when half of Americans live in a household that gets government assistance? How long can we go on with almost half of Americans living in households that get government assistance? Almost half of Americans - 48.5% - live in a household that gets some kind of government aid. That's a record high according to census data for the first quarter of 2010. It's up from about 44% of the population in 2008... and from less than 30% in 1983. More than 34% of Americans live in a household that gets either food stamps, subsidized housing, cash welfare or Medicaid. Applications for these programs are up nearly 50% in the past decade. More than 14% live in homes where someone is on Medicare. 16% live in homes getting Social Security. As unemployment hovers above 9%, more than 46 million Americans live below the poverty line. And as more people turn to government assistance, there are fewer people actually paying taxes to support all these programs. It's estimated that more than 46% of households will pay no federal income tax this year. In 2010, 45% of households paid no federal income tax. It doesn't take a mathematician to figure out that this is unsustainable. With fewer than half of Americans paying federal taxes - and just about half living in a family that gets government aid - this country is headed down the drain. And fast. It's no wonder the crowds protesting around the country keep growing with every passing day. Here’s my question to you: How long can we go on with almost half of Americans living in households that get government assistance? 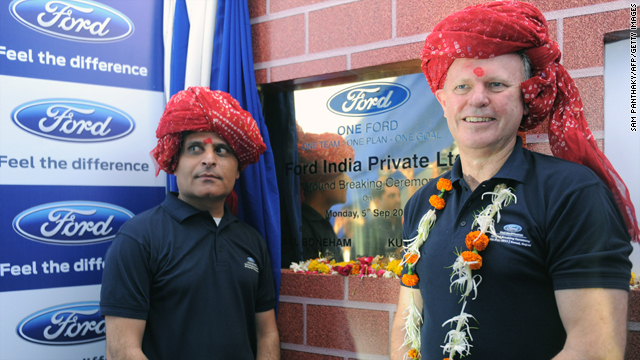 Ford India's President and Managing Director Michael Boneham (R) and Ford India Executive Director, Product Development, Asia Pacific and Africa Kumar Galhotra (L) pose after a ground-breaking ceremony for a new Ford plant. Message sent by Ford opening new plant in India? Here's just one more example of where the jobs have gone: Ford motor company says it's broken ground on a $1 billion manufacturing and engineering plant - in India. It will employ 5,000 people when fully operational. In India. Translation: That's 5,000 additional jobs in India while America struggles under 9.1% unemployment. The Ford plant is expected to open in 2014 and produce 240,000 vehicles and 270,000 engines a year. This will be Ford's second plant in India. So far Ford has invested $2 billion in that country. It's also one of seven new plants that Ford is building in China, Thailand and India. It's not unusual for manufacturers to build plants where the customers are... happens all the time. Ford says the new Indian facility will help them reach the goal of increasing worldwide sales by 50% to 8 million vehicles a year by 2015. They say they're expanding in markets - like India - that have the most growth potential. Makes perfect sense. India likely has more people itching to buy cars than the U.S., with its rapidly vanishing middle class. And therein lies the problem. People in America who don't have jobs are less likely to buy a new car. As President Obama prepares to address the nation with his jobs plan tomorrow night, the American worker is facing a real uphill battle. Unemployment is at 9.1% nationally, underemployment is even higher... and last week we learned that there were zero jobs added to the economy in august. Zero. Here’s my question to you: What message does it send that Ford is opening a new plant (with 5,000 jobs) in India? 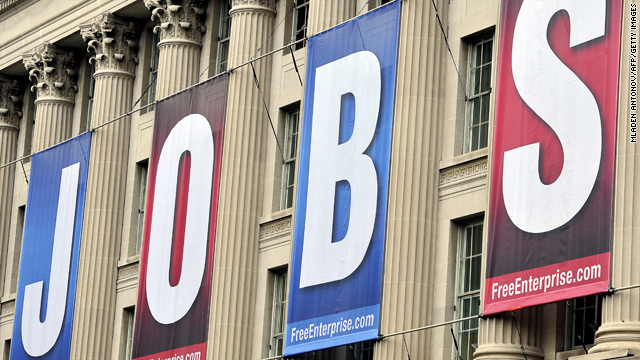 A giant sign -- reading 'JOBS' -- hangs outside the U.S. Chamber of Commerce building in Washington, D.C.
How should Obama's $300 billion jobs plan be paid for? Here we go again: President Obama wants to spend another $300 billion we don't have. The president is set to roll out his jobs plan Thursday night in a speech to a joint session of Congress. But you need a magnifying glass to find where the job creation is hidden. Early reports suggest the plan will focus on new infrastructure spending. OK, might be some jobs created there. But an extension of unemployment benefits? How does that create jobs? Aid to local governments meant to prevent teacher layoffs? That preserves existing jobs but doesn't create jobs. There may also be an extension of the payroll tax cut, as well as some tax breaks for businesses. Bottom line is a lot of this is just more government giveaways. And once again, it's being advocated with no plan for how to pay for it. Apparently the cost of the roughly $300 billion will have to be offset by "tax increases in later years." It would all be part of a long-term deficit reduction plan that would include spending and entitlement cuts as well as tax increases. Translation: More empty rhetoric designed to justify more deficit government spending. No one is making any tough decisions about cutting spending or raising taxes. The government continues to kick the national debt time bomb down the road, piling on more and more government spending for which there is no money. Of course it's unlikely that much of the president's plan will make it through Congress. Some Republicans have already dismissed it, saying it's just a continuation of the failed 2009 stimulus plan. Here’s my question to you: How should the estimated $300 billion cost of President Obama's jobs plan be paid for? What's the point of President Obama's job speech? 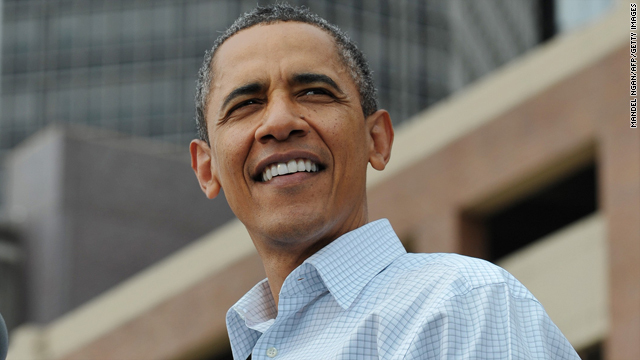 President Barack Obama has a lot riding on Thursday's jobs speech - maybe even a second term. As the president prepares to address a joint session of Congress and with the nation reeling from 9% unemployment, he's in a tough spot. And the Republicans know it. Obama's approval rating continues to slide. A new NBC/Wall Street Journal poll shows him at the lowest mark of his presidency with only 44% approving. Another new poll by Politico shows 72% of those surveyed say the country is headed in the wrong direction. That's up 12 points since May. Only 39% approve of the president's handling of the economy. If this economy doesn't start to turn around, the president is finished. In fact, one Democratic pollster already says that Obama is no longer the favorite to win re-election. That’s why Thursday's speech is so important. But here's the thing: The president has made speech after speech on the economy for three years now. Where are the jobs? The details of this speech are being kept under wraps, but the president might call for infrastructure spending, job training programs, tax breaks for businesses and workers and extending unemployment benefits - again. So far, no word on where the money for all this will come from. We are $14 trillion in debt. The president claims he will propose ways to get Americans working to which both parties can agree. Don't bet on that agreement thingy. Washington is more divided than ever, and Republicans can smell blood in the water here. They know Obama is vulnerable, and it seems unlikely that they'll agree to anything that will improve his position. Here’s my question to you: What's the point of President Obama's job speech? What's your view of the current state of the U.S. economy? The general feeling about the economy in this country hasn't been great for a long time. And the stalemate on Capitol Hill over raising the debt ceiling has only made Americans more nervous... not just about the current state of their own households but about the future of the U.S. economy as a whole. Unemployment's stuck at 9.2% and probably not improving much anytime soon. With all the uncertainty surrounding the debt ceiling, companies aren't exactly rushing to ramp up hiring. "Wait and see" is the prevailing game plan. Uncertainty is business investment's worst enemy. 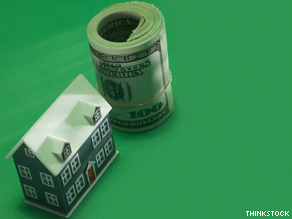 Home prices are down 4.5% from one year ago. The housing crisis may not be over for several years. Bad news for a seller sometimes means good news for a buyer - but not right now. Even if you're lucky enough to get a mortgage, rates are going to be headed up - and if the U.S. defaults on its debt obligations, that will happen pretty fast. Oh and your investments? If lawmakers don't raise the debt ceiling and the U.S. defaults on its payments for the first time in history, stocks could drop 30% over the following six months to a year. This is according to a new report from Credit Suisse. Polls have shown Americans have been growing increasingly concerned with the economy, and the number of Americans feeling this way has been on the rise over the last few weeks. Nearly 3/4 of Americans in Gallup's Daily tracking poll say the U.S. economy is getting worse. That's up 11 percentage points since July 6. In a separate CNN-ORC poll, nearly six in 10 Americans now say that the economy will be in poor shape a year from now. And in Washington the pathetic games continue. Here’s my question to you: What's your view of the current state of the U.S. economy? 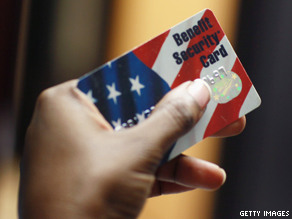 What does it mean if social welfare benefits make up 1/3 of wages, salaries in U.S.? Americans have become alarmingly dependent on handouts from Uncle Sam, according to a new report. Government social welfare programs like Social Security, Medicare, Medicaid and unemployment insurance made up 35% of all public and private wages and salaries last year. That's more than one-third of all the money Americans earned. These findings are contained in a study of government data done by TrimTabs Investment Research. In 2000, 21% of all wages and salaries in the United States came from social welfare programs. In 1960, it was just 10%. One of the economists at TrimTabs says we're in for some difficult times ahead unless this country can get back to at least the 26% ratio it had before the recession started. And she says there are only two ways to do that: Either increase private sector wages and salaries by 35% or cut social welfare benefits by nearly a quarter. Neither of those things is likely to happen. Social Security, Medicare and Medicaid, the so-called entitlement programs, make up more than 60% of federal spending each year. As the baby boomers get older, retire and need more medical care, the costs for those programs will only go up. While the squabbling over budget cuts continues on Capitol Hill, you can be sure no one is touching these programs. The $60 billion measure passed by the House last month didn't touch one dime of those three programs. As the evidence continues to mount that our country is hurtling toward an economic disaster, our government refuses to respond in any meaningful way. Here’s my question to you: What does it mean if social welfare benefits make up more than 1/3 of all wages and salaries paid in the U.S.?